Chris pokes fun at comedians and audiences alike; mocking assumptions and challenging notions. He uses himself, and his life experiences, as a mirror to ridicule stand up comedy and to deconstruct established comedy motifs. He regularly performs all across the country taking his brand of one-liners, hilarious anecdotes and a commanding stage persona with him. Definitely a name to look out for in the future! After graduating from Drama school (CSSD) in October he hit the ground hard with numerous gigs all over the country and wants to follow in the footsteps of fellow alumni French and Saunders and Catherine Tate in to TV and film writing and performing. Chris has gigged with the likes of Isy Suttie, Rob Rouse, Dan Antopolski, Paul Foot, Mitch Benn, Tony Law and many others. 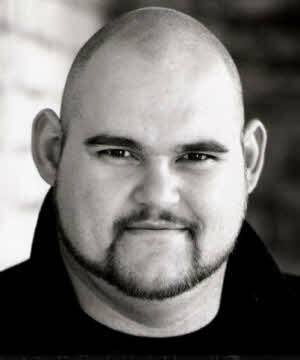 Although London based he is a regular performer on the Brighton and Manchester comedy circuits. Gigging regularly for Mirth Control, Hilarious Comedy Clubs, Laughing Horse comedy Clubs. Performed at Downstairs at the King's Head, Monkey Business (Saturday), Buzz Comedy (Various), Comedy Balloon (Manchester), ABBCOM (Sheffield), ALIS (Stockport), Fun House Comedy, Ship Of Fools Comedy, We Are Most Amused, FunnyFirst Mondays (St.Albans), Oi Oi Comedy (various venues) as well as Nottingham, Leicester and Brighton Comedy Festivals.